Joyce Leach of Auburntown, along with her daughter and son in law, Becky and Ronnie Gandy of Murfreesboro, just returned from a trip to Dallas, Fort Worth, Texas. 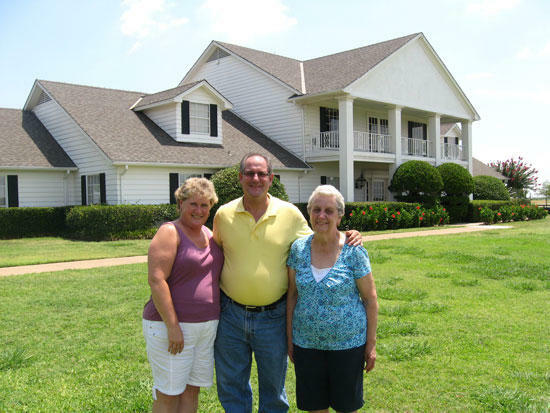 They spent the day at the famous Southfork Ranch, home of Ewing's from the TV hit show Dallas. While in Fort Worth, they spent the day at the world famous Stockyards, where Joyce rode a live Texas Longhorn. Fun was had by all. Is that J. R. Ewing in the middle with Becky and her mother Joyce? They all look very happy.